Salvation By Grace Through Faith - The Bible from the Old Testament to the New speaks about faith as a means by which we attain salvation. It is called salvation from faith to faith. But after the Lord Jesus came, what does it mean to be saved through faith? This article will answer that question. May the Lord open our ears to hear and understand the true meaning of Faith! In the previous article in the theme of salvation, I have spoken about salvation by the grace of God. According to the Bible, we are saved by grace, it is a gift given to us by His undeserved mercy. If you are interested in reading that article please click here. To summarize briefly, it is important to know that, as humans, there is nothing we can do to earn salvation, it is a free gift out of the mercy of God, undeserved and unearned. This free gift which is given by God has to be accepted, taken and preserved. 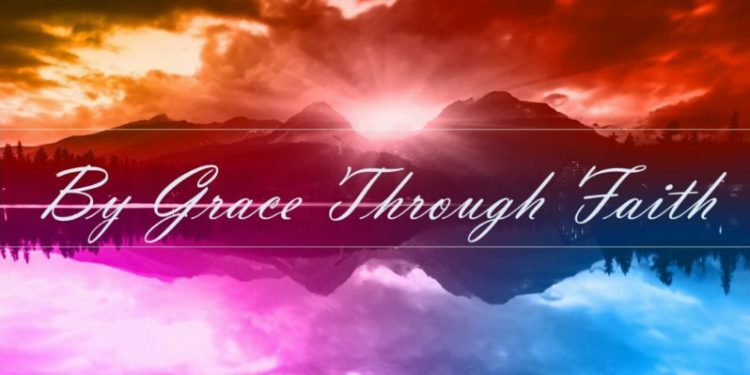 In this article, we will look at what it means when we say “we are saved by grace through faith” and will also look at the true meaning of faith. We will understand what it means to have true Christian faith. If we are saved by grace through faith, what does the role faith plays in the process of salvation? If God’s grace is free, how do we receive it and how do we get saved by that free grace? The answer to this last question is THROUGH FAITH. The word “through” is very important as we already mentioned, we are not saved BY faith but saved by grace THROUGH faith. So it is the means by which to obtain the free grace of God. The word “faith” is used loosely in many Christian circles, churches and denominations sometimes without understanding its true biblical implications. What does faith mean? What does it mean to have true faith? Most people I meet seem to think it is to believe in something without having rational reasons behind it, in other words, it is believing without seeing. But is that what the Bible says about true faith? Is there something more to faith than a simple belief? These examples are all in fact called acts of faith. We see that in these cases I mentioned, faith was accompanied by an action proving the genuine character of the faith. First, to understand how we can be saved by grace through faith, it is important to look at how faith works. An act of faith usually requires 3 consecutive steps: the objective, the subjective and the active. The objective involves the use of the mind to process the information about a certain thing. The subjective involves the heart and the personal desire one has to acquire that thing. Finally the active is the exercise of the will in acting upon the desired thing. To illustrate this, we can take the example of medication. If I am to take a pill, I must have faith in the fact that this pill will heal me. First, I might hear from someone about the existence of that pill and what it does. This is the objective side where information is processed in the mind. Then from the mind, this has to move to the heart. This is the second step where I believe that this pill would do ME good and that I PERSONALLY want and desire to have that pill for my healing. Thirdly, all this will amount to nothing if I don’t actually go and take the pill. This is the active step. 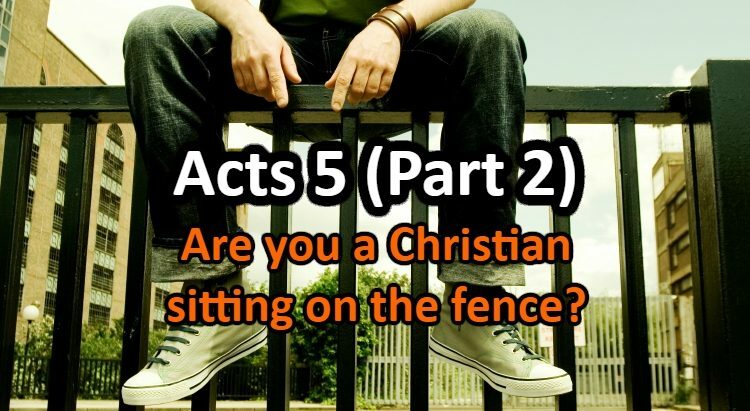 Any act of faith typically uses these three steps. We first process objective information then we are caught in it personally with desire and then we act on it. Sin comes in the same way, we are suggested something in our mind, then we start desiring it by thinking about the pleasure it will provide and finally we act upon it. In the case of Christianity, when we say we are saved by grace through faith, it is therefore implied we are talking about Christian faith. True Christian faith follows the same rule, it starts with the mind, then we believe in the heart. Then after we believe in our hearts, if we don’t act upon our faith, our faith is dead. I heard many Christians say that faith is without evidence, that it is completely blind. However, faith should be blind when it comes to the physical senses and not the spiritual sense. This is why Jesus said to Thomas “Blessed are those who have not seen and yet have believed” (John 20:29). It is because he wanted to see with his eyes and touch with his hands. So to be saved by grace THROUGH faith, we first have to get the thoughts right and have rational statements upon which we can build our faith before we start to have feelings about them. In Romans 1, we are presented with evidence about God in creation. The apostle Paul knew that creation itself is a sign pointing to One God and made sure to put it in writing. He wanted to assure us that believing in God is natural to the human mind just by looking at the outside world. He also made sure to tell us that those who suppress this Truth are doing it for a moral reason. To come back to our subject, we have to be presented facts about God in order to have proper Christian faith. In other words, it is not only the existence of God that we need to believe in order to have a true faith. We have to understand the true facts about God, who He is and what He is interested in. From there we can move on and start our journey to get saved by grace through faith. The God of the bible is a person who is a creator, who loves fashioning things. He not only created the outside (the universe) but also the inside and our conscience. From the universe, we see His hand but from inside our conscience, we see that He is concerned with right and wrong and with morality. These are facts about life that a Christian needs to understand, facts about God, facts about nature and the fact of the conscience. These facts also have to be understood before we are presented with the good news of the Lord Jesus Christ. Otherwise, we won’t comprehend what He came to do on the cross, why He had to die to save us. Therefore, it is impossible to have saving faith if we don’t know the God of the Old Testament because in there we have the basic facts about God: how creation happened, how He creates everything good and how if it turns bad, He has to destroy it. It is through the Old Testament we know that God is unapproachable by men because He is too good, holy and pure. From the Old Testament, we know that God’s holiness is too high above men, that we can’t get to Him in any way possible. It is in the Old Testament, that we understand that God, knowing we can’t do anything to get to Him, He Himself is preparing a way to reconcile us unto Himself. From the Old Testament, we read about the promises given to Abraham through whom all nations will be blessed and about the prophecies written about the Messiah’s redemptive work in Isaiah 53. That is how we know why Jesus came and what He did on the cross. He came to bring men near to God and to reconcile us back to Him. Through His death, He crushed that barrier. Jesus said “come to Me and I will get you there, I have dealt with your sin on the cross”. If we look closely at the New Testament, the apostles when evangelizing always started by giving the facts about the Old Testament before explaining who Jesus is. 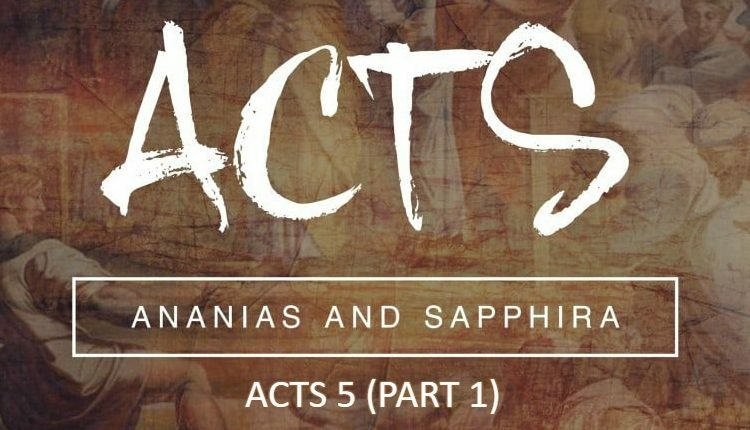 We can only look at the discourses of Peter, Stephen and Paul at Athens in the book of Acts. We see then that to be saved by grace through faith, this faith has to be based on facts about God and His Son Jesus Christ. To be saved by grace through faith, this faith should not stop with reasonable facts. That would be faith running only on one cylinder. After the mind has accepted the gospel through the presentation of facts about God and His Son, then this has to move to the heart where feelings accompany reason. However, feelings are a difficult subject because we can also have feelings that are not based on the right faith. We see this happening when, after a nice service, pastors ask young people to approach and accept Jesus into their lives. While these young people are having good and genuine feelings, even if they go up and accept Jesus, they don’t know what it means. They go home thinking something really happened only to realize that these feelings are temporary. The feelings did not accompany the right facts. After having the right faith, switching from the mind to the heart makes faith become alive. It becomes personal when we understand what Jesus came to do for each one of us. By realizing that it was my own personal sins that put Him on the cross, I personally got involved in the picture and caught in it. This is the switch from believing that He is the savior of the world to believing that He is YOUR personal savior. You realize that He would have done the same, He would have died on the cross if it were ONLY YOU who have been living on earth. This is when you realize He made you free. 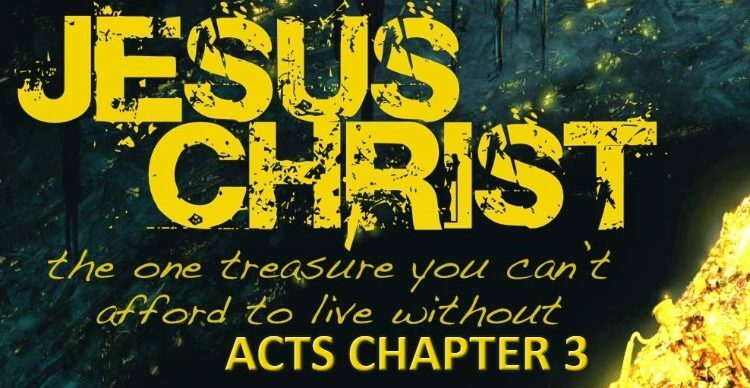 To be saved by grace through faith, this realization has to happen in each believer’s heart: “Jesus Christ died for ME, because of my own sins, to save ME“. Unfortunately, this cannot be explained in human words, it has to be lived and experienced. When this happens, our lives completely change. We are saved by grace through faith but what is saving faith? By looking at this passage from the book of James, we clearly see that faith must become active. In other words, we not only should talk the talk but walk the walk. James mentioned two examples of faith, Abraham and Rahab. In each case, the subject had to risk something because of their faith in God. In the case of Abraham, He risked His son Isaac and ultimately the entire future of his entire family and descendants. In the case of Rahab, she risked death by sending the spies the other way. Abraham and Rahab are saved by grace through faith. Faith will not be genuine and true unless we actively risk something on Jesus Christ. It is only when we risk our future in some way on Jesus that we have true faith. Unless it goes there, it is not real faith, it just thoughts in the brain accompanied by feelings. Many Christians think James is talking about faith accompanied by good deeds. But by looking at the context, James was not talking about good deeds, he was talking about risk. He is saying faith without risk is dead. Unless we risk something on the Lord, it is not real faith. This is very underrated in the age we live in. Many Christians act as if faith is something personal and not to be shared publicly, that it creates bad and awkward situations. But that is not what Jesus Christ said. He said that we are the Light of the world, He said that we are blessed if we are persecuted for His name. He also said that we have to be willing to lose our lives to gain them. That is the risk of losing our reputation. Some believers told me that Romans 10:9 proves we only have to believe but notice it says that we have to confess with our mouths the Lord Jesus. Even though someone may think this is a private confession, there is no use to confessing out loud with the mouth if it is done privately without anyone hearing. The gospel has to be heard in order to be received. That is why confessing Jesus Christ will cost us our reputation. It can cost us jobs, friends and it will cause us ridicule and rejection. Death is another typical risk Christians run especially in underdeveloped countries. We are fortunate in North America that we can still live our faith without being killed for it. That is not the case in Muslim countries where Christians are sacrificing their lives for Jesus’ sake. We not only have to live for Christ but we also have to be willing to die for Him as the New Testament church did in the first century. My friend, this was not an easy article to write for me because faith is a deep and experimental subject. To be saved by grace through faith, we have to have true faith which is experienced and lived. Those who have an ear will hear. It is not enough to believe in the existence of God, it is not enough to read about God and process the information about Him in the Bible. 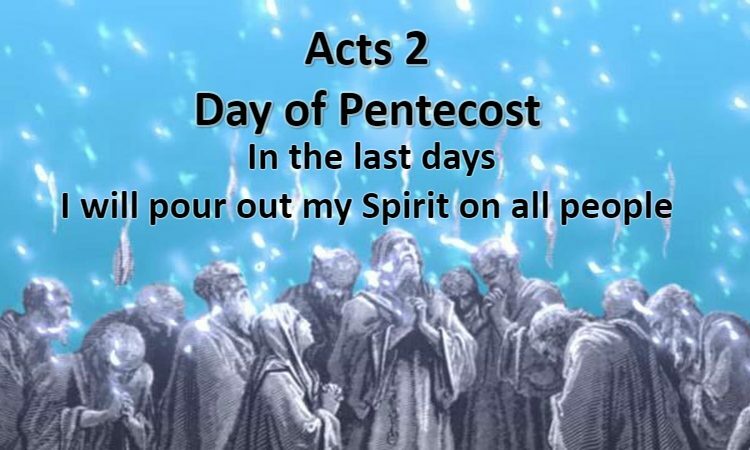 We have to believe in our hearts and understand in the Spirit what Jesus came to do for each of us, to save us from our sins and from their consequences. After we believe, what is the substance of your faith dear friend? Are we walking with Christ every day? Are we guided by His Spirit? Are we trusting Him no matter what? Our faith must be active. That is if we truly want to be saved by grace through faith. After we are forgiven, true faith says we have to get up and carry our beds and walk even though we never did. True faith is walking on water when Jesus asks us to. If we claim to believe in Jesus, we will go and do something that we couldn’t do without Him. The Bible divides people into two groups, those who have true faith and those who don’t. Are we part of those who have true active faith, those who trust Jesus Christ, obey Him and risk our future on Him? May the Lord strengthen our faith!